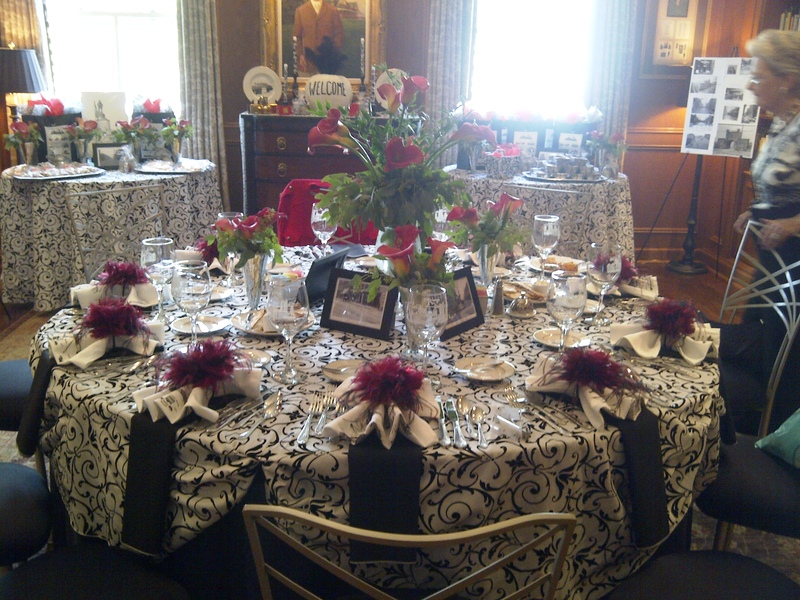 Recently, we helped plan a luncheon at the Oakmont Country Club. 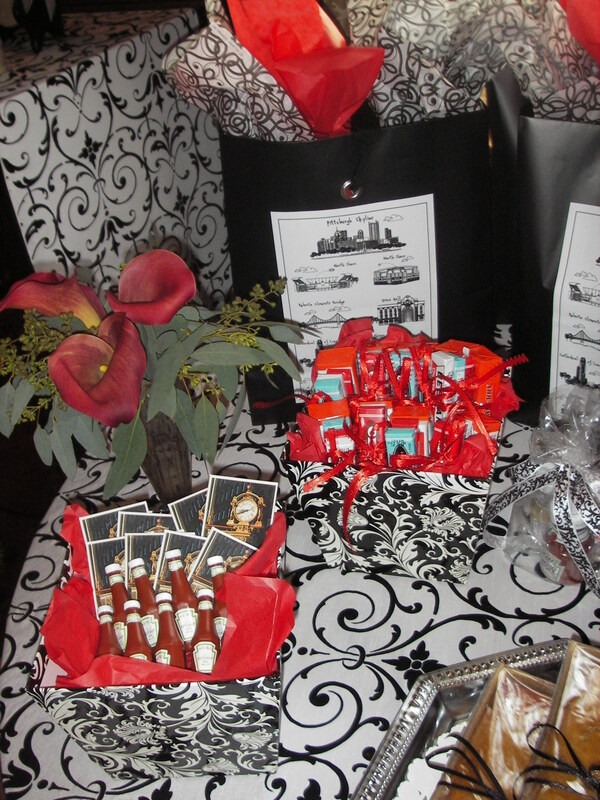 The theme was “History of Pittsburgh” and the guests were wowed by the details and favors. This luncheon was only for ten guests, but paying attention to the details was just as important, if not more so, than at a large-scale event. 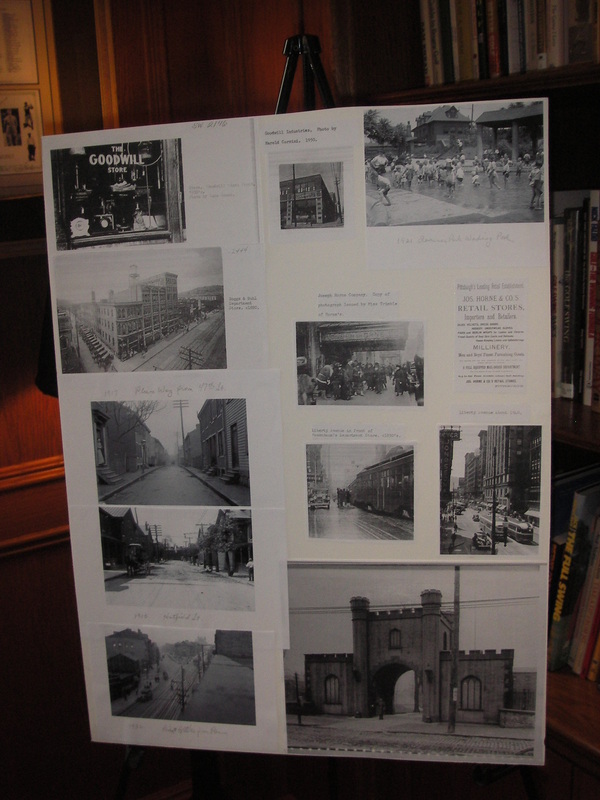 We hunted all over Pittsburgh to find photos, articles and newspaper ads to represent Pittsburgh from the 1950s – 1970s. 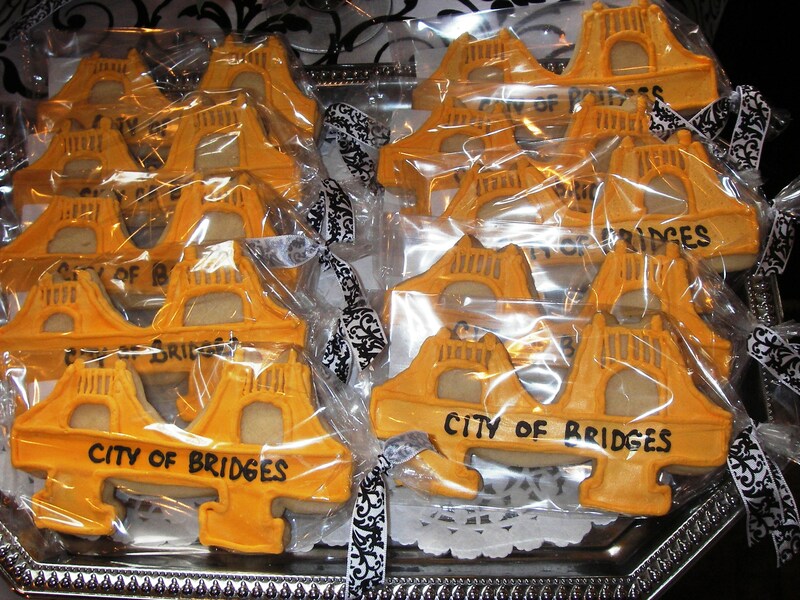 A big thank you goes to Beth Fowler who made these adorable Pittsburgh-themed cookies! Bloomers Floral Studio helped us create the mood with these gorgeous (and unique!) red calla lilies. 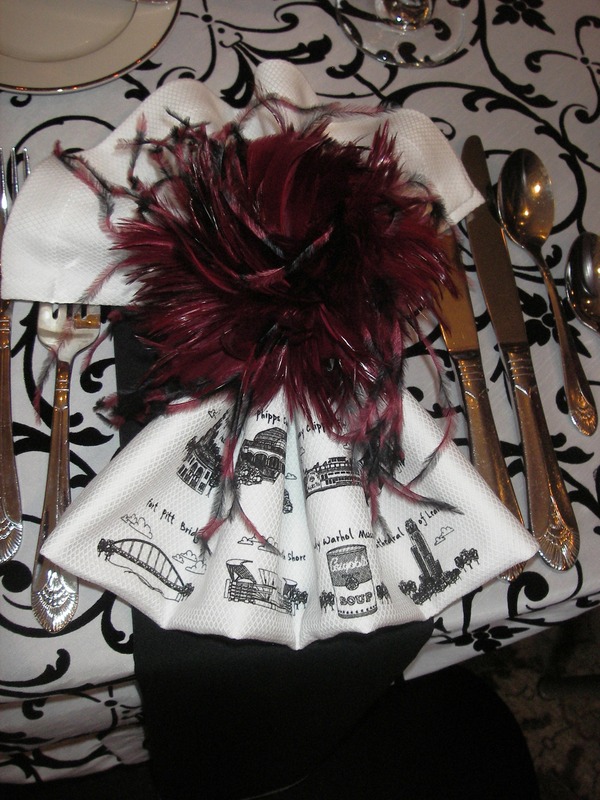 Guests were delighted to find out these festive napkin holders were also wearable! 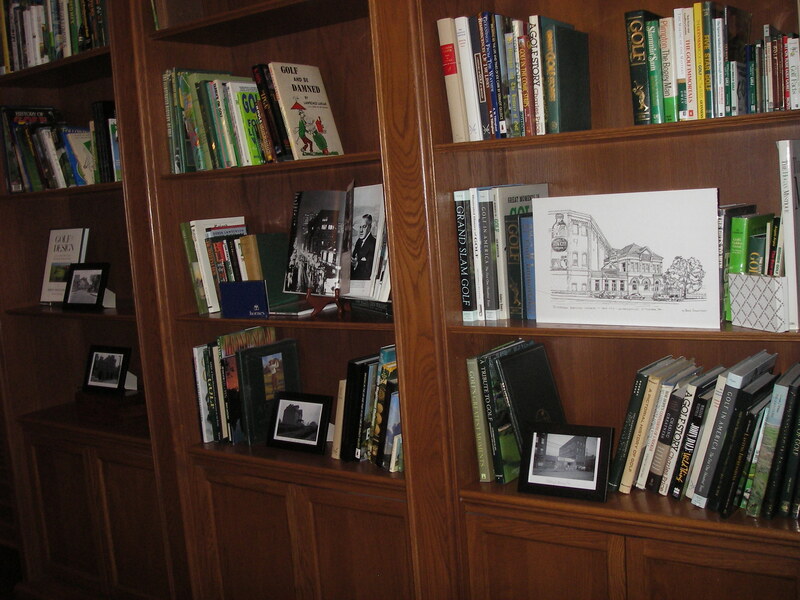 Each had a clip on the back – perfect for their lapels or in their hair. 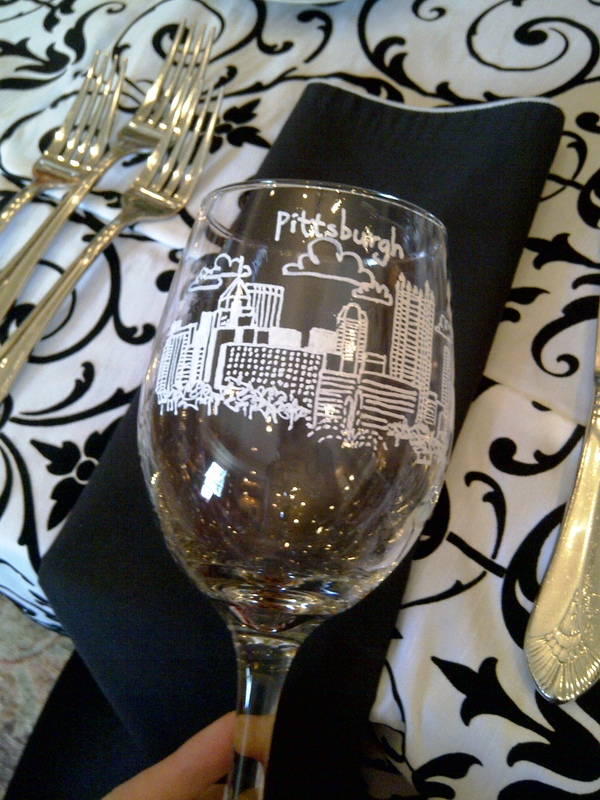 Hand-painted wine glasses and fun trinkets from the Heinz History Center (such as old-fashioned Heinz whistles and nostalgic gum) were available for guests to take home as well. 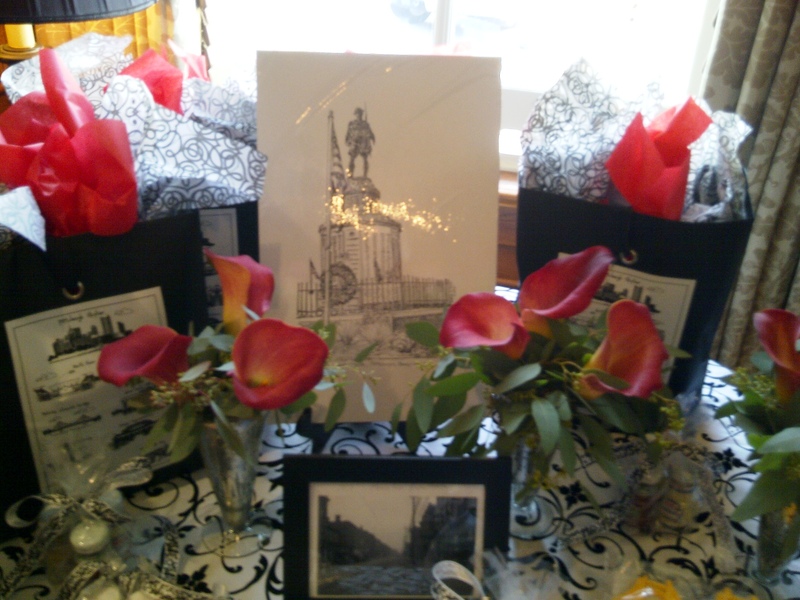 The black and white linens were a perfect complement to the black and white photographs that we framed for the table. 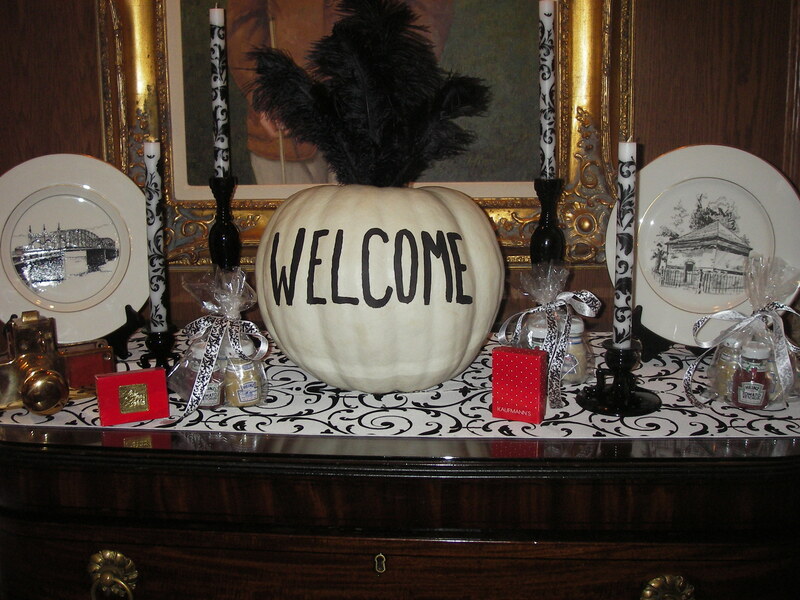 And since it was fall, our decor was complete with a hand-painted pumpkin to welcome everyone! 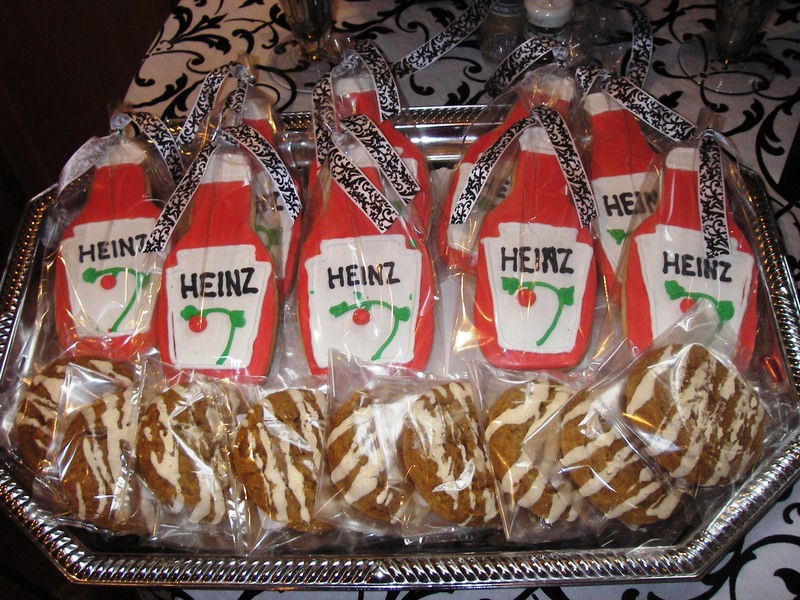 This is one luncheon that made history! 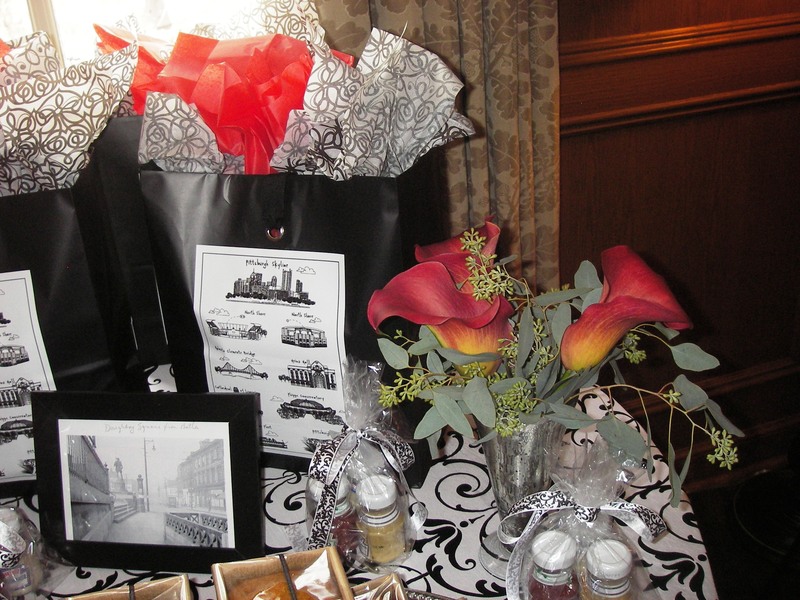 For more information on the vendors we used or help planning a holiday luncheon of your own, contact us at www.helloproductions.com!